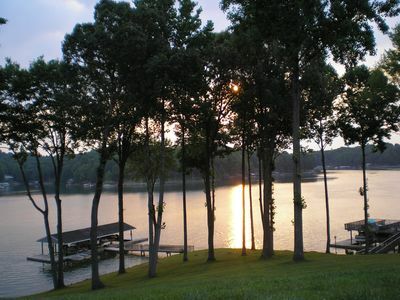 Lakeside 3BR Hardy Townhome w/New Furnishings! 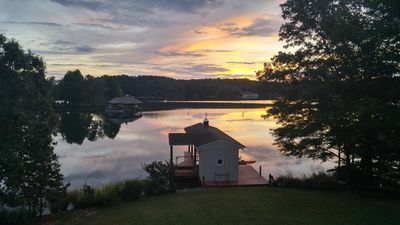 Escape the hustle and bustle of everyday life and dive head-first into lakefront relaxation at this stunning Hardy vacation rental townhome! This spacious 3-bedroom, 4-bathroom residence offers enough sleeping arrangements to comfortably accommodate up to 10 guests. 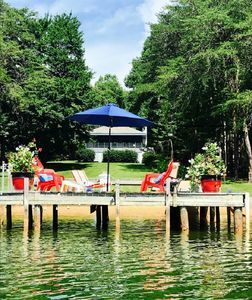 Situated on a quiet cove of Smith Mountain Lake, this property offers seclusion, picturesque lake views from the multiple decks, 2 kayaks, and plenty of diverse Virginia country terrain for some of your favorite outdoor activities. 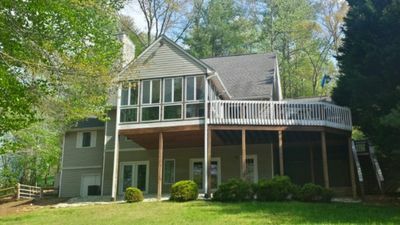 This spacious 3-bedroom, 4-bathroom residence offers enough sleeping arrangements to comfortably accommodate up to 10 guests throughout over 2,000 square feet of well-appointed living space, making it the ideal size for a large family or group of friends looking for a rejuvenating lake getaway. As soon as you arrive, you'll fall in love with the property's lush surroundings. 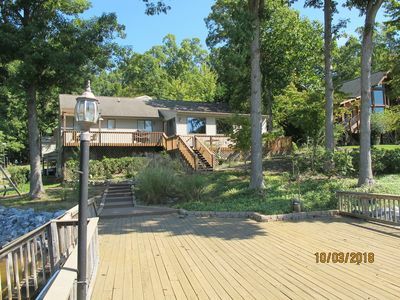 This townhome sits directly on the lake and features 3 private decks overlooking the water plus a large party deck for ultimate entertainment. 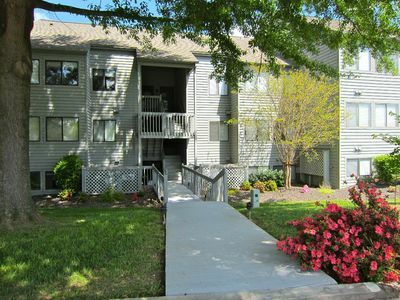 You'll quickly discover that this unit is in mint condition, both inside and out! The bright and airy interior features many upscale amenities, including 4 flat screen TVs, wireless internet access, air conditioning, and in-unit laundry machines for your convenience. 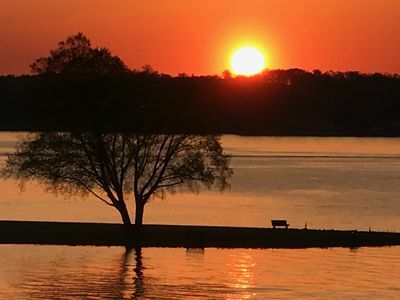 After a fun-filled day on the lake, grab your favorite beverage and kick back on one of the breezy decks to watch the gorgeous Shenandoah Valley sunset. 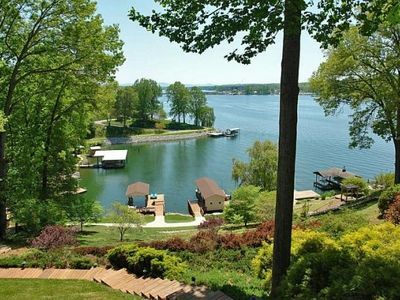 After some much-needed rest and rejuvenation, cook your loved ones a tasty homemade meal, either in the large fully equipped kitchen or on the outdoor gas grill, which is perfect for cooking up juicy burgers at lakeside barbecues. When you're finally ready to call it a night, retreat to one of the 3 inviting bedrooms. Both master bedrooms feature lovely ensuite bathrooms and comfortable queen-sized beds. The additional bedroom is equipped with plenty of sleeping accommodations and can be used as a second living area, making it the ultimate spot for the kids to unwind in after an eventful day. 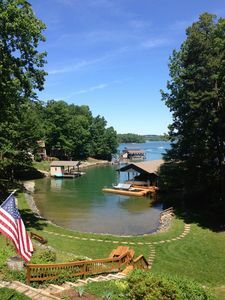 You certainly won't have to go far to experience tons of outdoor fun - the townhome's prime lakefront location offers access to all of the area's most popular activities. 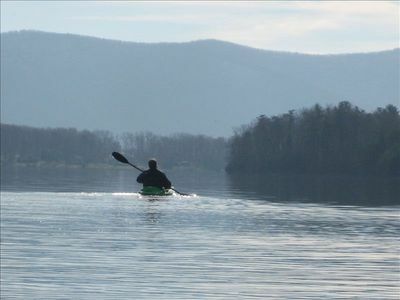 Take the property's 2 kayaks out on the lake to explore the area. 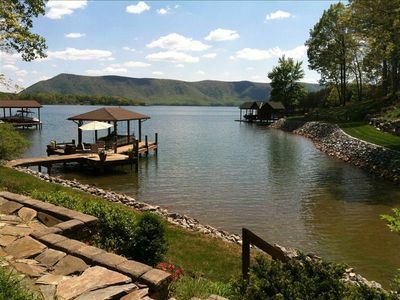 You may also enjoy waterskiing, fishing, swimming, wakeboarding, tubing - but most importantly, you have to relax! Because after all, that's what vacations are for! 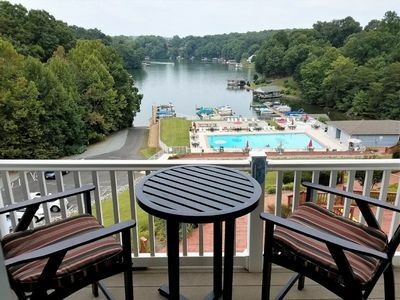 Additionally, the townhouse is less than 5 minutes from boat rentals, restaurants, grocery stores, a fantastic brewery and more! For the golfer of your group, there are several pristine golf courses in the area and even one within walking distance. 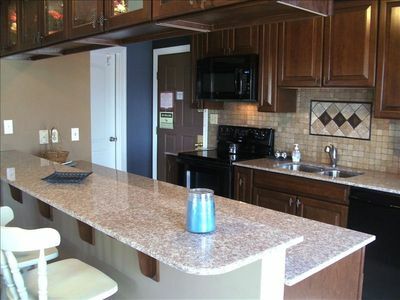 No matter how you choose to spend your time here, when you stay at this phenomenal Hardy vacation rental townhome, the best of the Shenandoah Valley will be right at your fingertips! 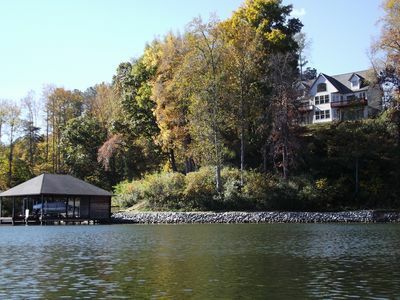 - Fantastic and secluded lakefront location - Situated on a serene cove within a quiet neighborhood! Summer Lane! 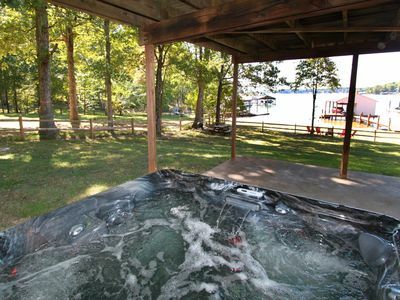 NO WAKE Cove/FirePit/Boats/Hot Tub/WIFI/Gameroom/Cabana/Flat Lot!